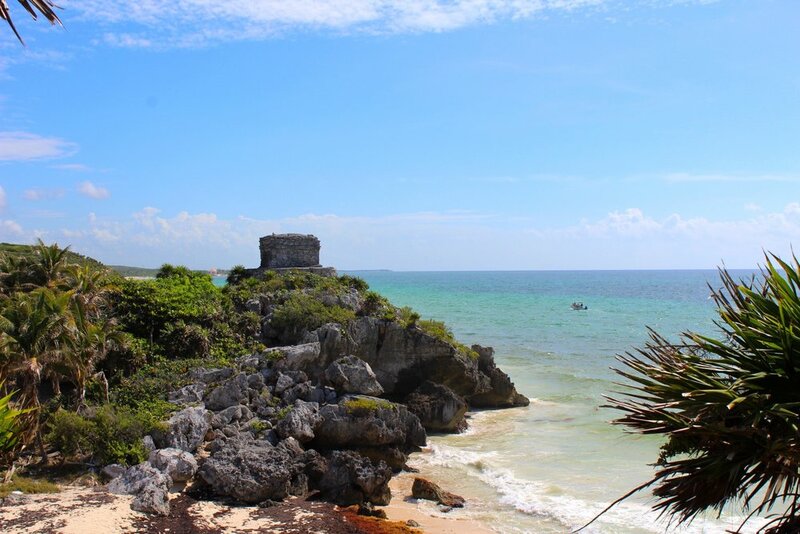 If you want to experience something magical, then pack your bags and head to Tulum. This cute bohemian beach town is located on the Caribbean coastline of Mexico's Yucatán Peninsula. Tulum is best known for its white sugar sand beaches, Mayan ruins, rich jungle and world class boho chic restaurants, shops and bars. My boo and I decided we needed a vacation to get out of San Francisco and just unwind and relax. We were looking at a few different cities in Mexico to potentially visit, but we wanted to go somewhere where we could just lay around on the beach, relax and eat good food. That's how we landed on Tulum. I knew quite a few people who traveled to Tulum before, and they all said the same thing: it's beautiful, magical, whimsical, picturesque, relaxing, refreshing, etc. I never heard one bad review about Tulum, so I figured we should go! After 3 days swinging through the jungle and beach hopping, we came to the conclusion that this was one of the best vacations we've ever taken. Everything about it was perfect – the people, the ambiance, the views, the food, the shopping. The only things we could have done without was the extremely humid weather that brought out the mosquitoes, but even that couldn't kill our vibe. 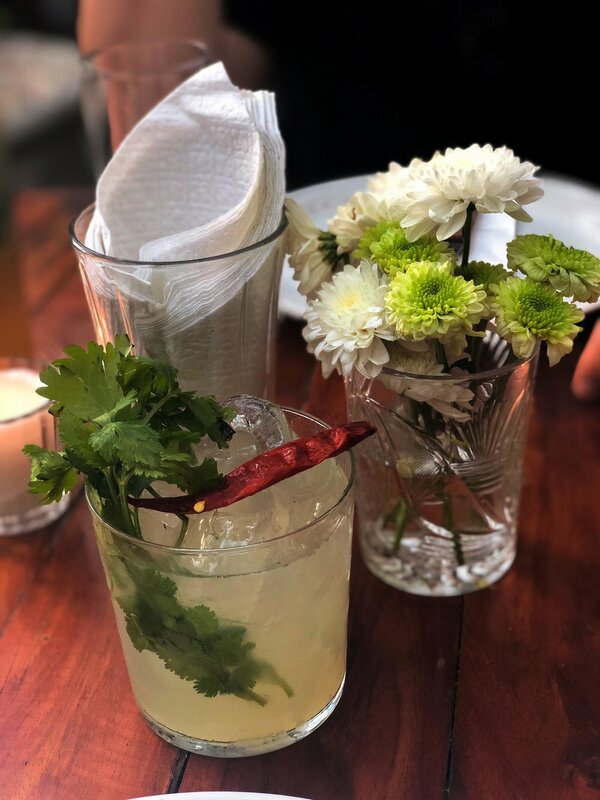 Tulum is well worth the visit, and this guide will answer all the questions you might have – around how to get there, where to stay, what to eat and drink, what sites to see and where to shop. Book your entire travel accommodations through Expedia – including your roundtrip flight, hotel and shuttle to and from the airport. We booked 2 roundtrip flights, 3 nights in a boutique hotel and shuttle rides to the airport for a total of $1,586.60. That's a steal for two people! We flew to Tulum on Interjet, a Mexican airline that just recently added flights out of San Francisco International Airport (SFO). We had no issues with Interjet. The plane is old and their seats aren't very comfortable but they are big and you have a lot of space which is nice. Our return flight was with United, and we had no issues with this flight. Remember, when you fly to Tulum you're flying to Cancun Airport, and then from there it's a 1.5 to 2 hour car ride to Tulum. It's super important for you to book your shuttle ahead of time! If you purchase your tickets on Expedia, you have the option to add a shuttle – you can either do a private car or shared shuttle. We did the shared shuttle and because Tulum is so far we were the only ones in the shuttle going to our hotel. On our way to the airport we picked up another couple, but it wasn't bad! If you're booking accommodations outside of Expedia, be careful with the shuttle service you choose. We used Super Shuttle, a well known company that has services all over the world. 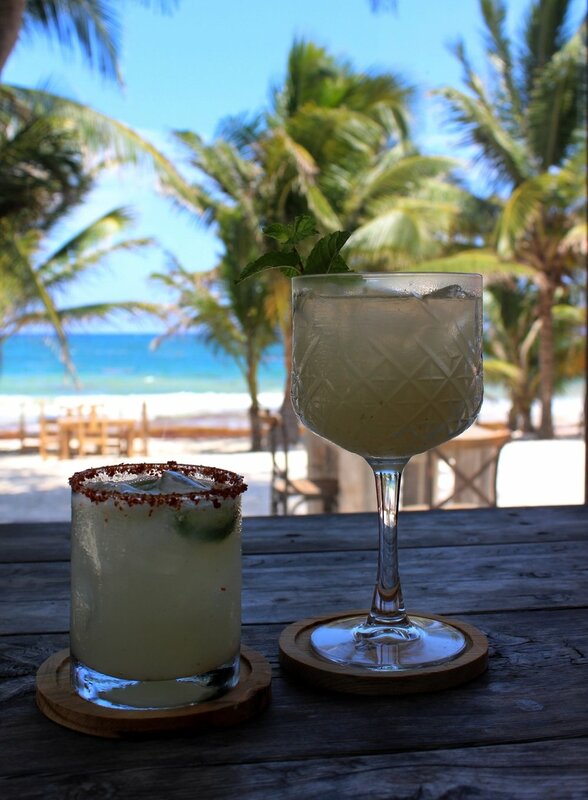 The options are endless for fabulous boutique hotels and resorts to stay at in Tulum. 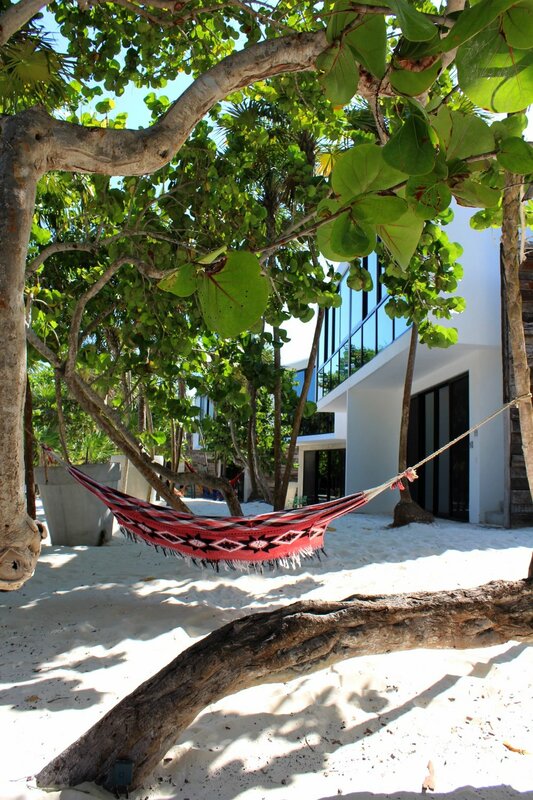 In terms of location, you have three choices – you can either stay in Tulum town, Beach Road North or Beach Road South. Each of these offer a different experience, but they are all magical in their own way. It also depends on what you want out of the vacation. 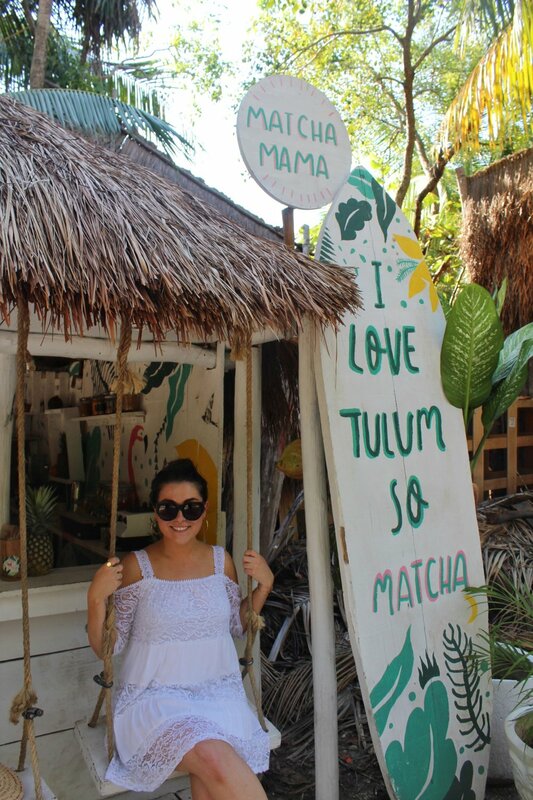 We stayed at Elements Boutique Hotel in Tulum Town. We wanted to be super low key and away from all the parties, so being in town was perfect for us. It was quiet, relaxing and homey. Plus, we really only went to the hotel to change, shower and sleep, so we didn't mind being 15-25 minute drive away from everything else. We loved staying at the Elements Boutique Hotel. The staff was so friendly and the room was incredibly cute and spacious. We even had our own private balcony that overlooked the courtyard. Since it's a boutique hotel, there are less than 15 rooms available so the entire place feels super private. We booked our stay here on Expedia, and it was very affordable. You'll get free WiFi and complimentary breakfast every morning on your stay. I highly recommend staying at Elements if you want to stay somewhere a little more mellow. The main way to get around Tulum is with cabs! You also have the option fo taking a shared van (called Collectivos), and those are a bit cheaper. But we took cabs the entire time we were there because each ride was less than $5 and it was nice being in our own car with air conditioning. You can either ask your hotel to call you a cab, or you can hail one off the street. They are literally everywhere so you won't have any issues. 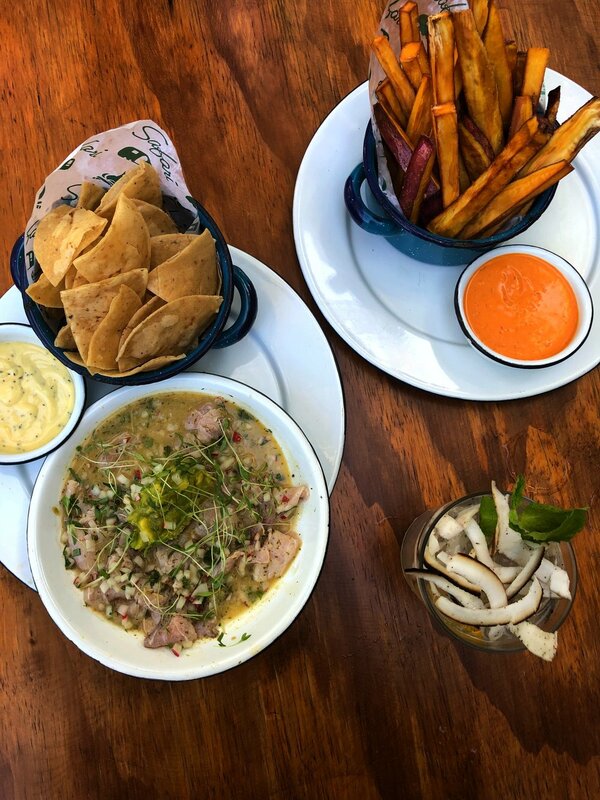 There are SO many great places to eat and drink in Tulum! Here are a few places we at at during our trip. 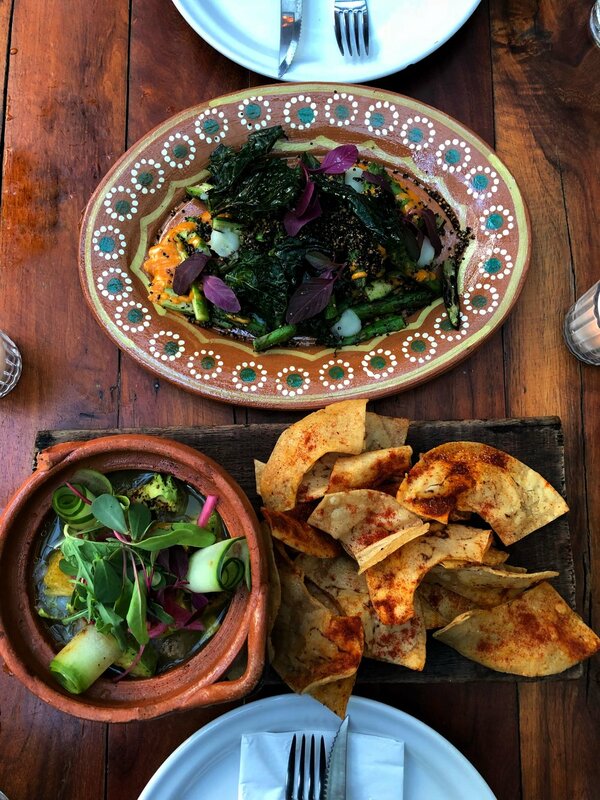 Gitano Tulum – This was THE BEST meal we've ever had in our life so far. Words can't even explain how good it was. 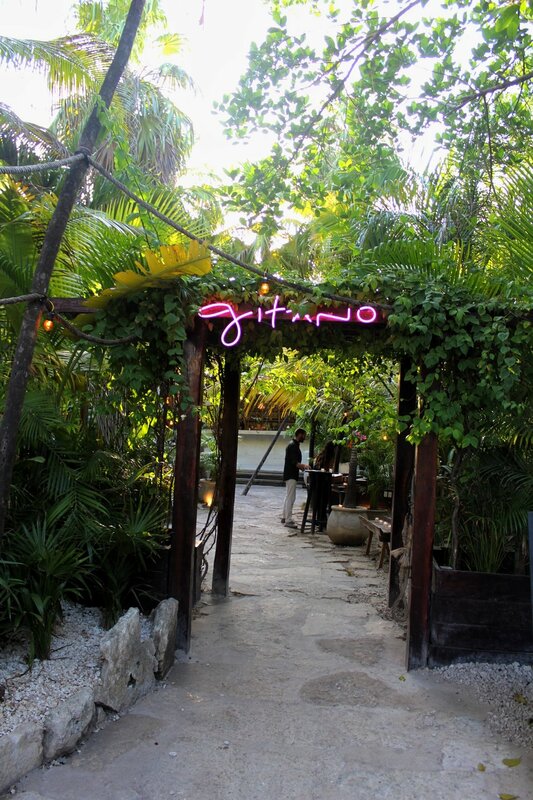 Gitano is a very popular restaurant in Tulum that is also home to 2 bars that host epic parties at night that go from 10pm-4am. You need to make a reservation to eat at Gitano on Open Table. They will require you to put your credit card in for your reservation because they have a cancellation fee of $50 per person. But honestly, you'd be a fool to cancel this meal. I recommend ordering the specials that aren't on the menu. That's what we did and we couldn't stop raving about how good it was. This was our most expensive meal in Tulum, and cost a little over $80 for two drinks, three dishes and dessert. 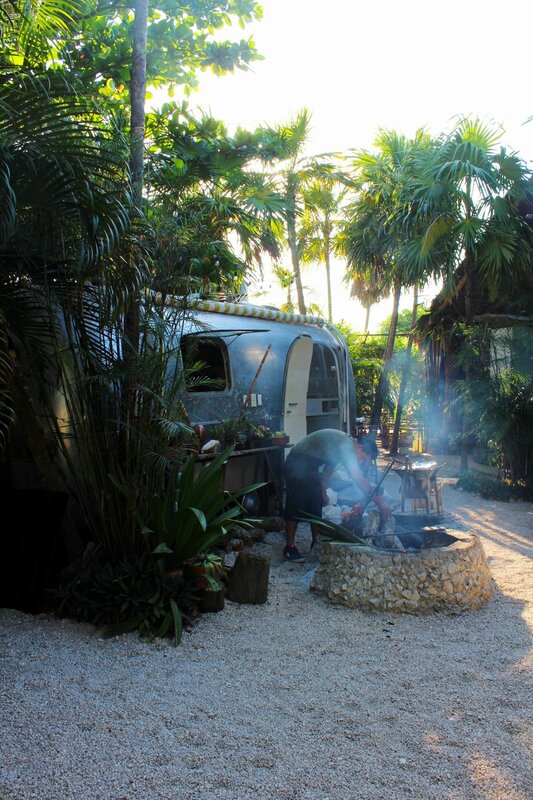 Safari – This is a super cute outdoor restaurant that's great for a late lunch or dinner. They open at 3pm, and you don't need to have a reservation (although if you're going later it might help if it's crowded!). They had the best tacos we had on the entire trip, so you definitely have to make a stop here. The meal was very cheap – we had 4 tacos, yuka fries, ceviche and two drinks for a little over $50. 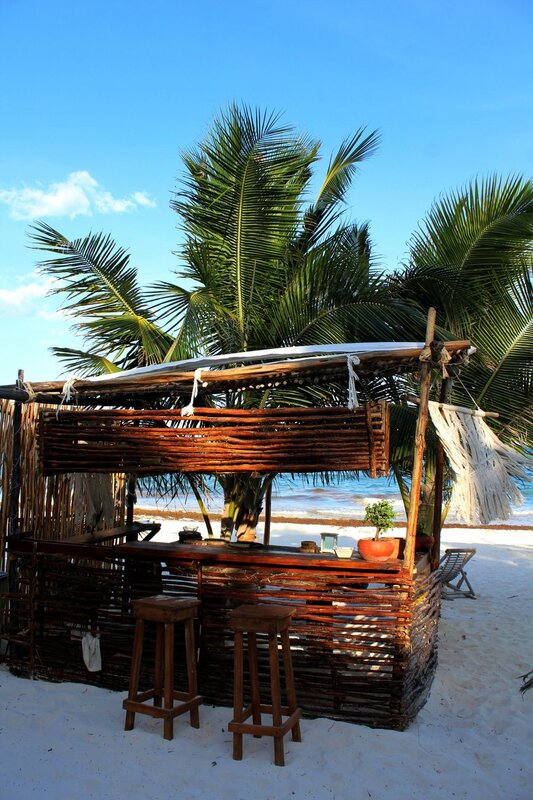 Philosophy – This beach front restaurant is located in Casa Malca and is open to the public with reservation. The menu is very modern and includes fresh local and seasonal ingredients. The prices at Philosophy are similar to Gitano. We were fortunate enough to be treated to lunch by the Casa Malca team (more info below on why! ), so this didn't cost us anything. The food was delicious and came alongside a stunning view. Matcha Mama – This is the cutest smoothie place ever! It's the perfect spot to grab an acai bowl for breakfast, or get an afternoon smoothie to cool off from the heat. We ordered the mango smoothie when we went, and it was so fresh and delicious. The Little Coconut – Sadly there's no website or Yelp page for The Little Coconut, but you have to try and go there! It's a fun tropical bar located right on the beach. It's great for a late afternoon cerveza on the beach or an evening relaxing with drinks and good company. La Creperia – A super cute spot at the beginning of South Beach Road to grab breakfast or a light snack. They are known for their crepes, so be sure to go hungry! Their smoothies are also pretty delicous. 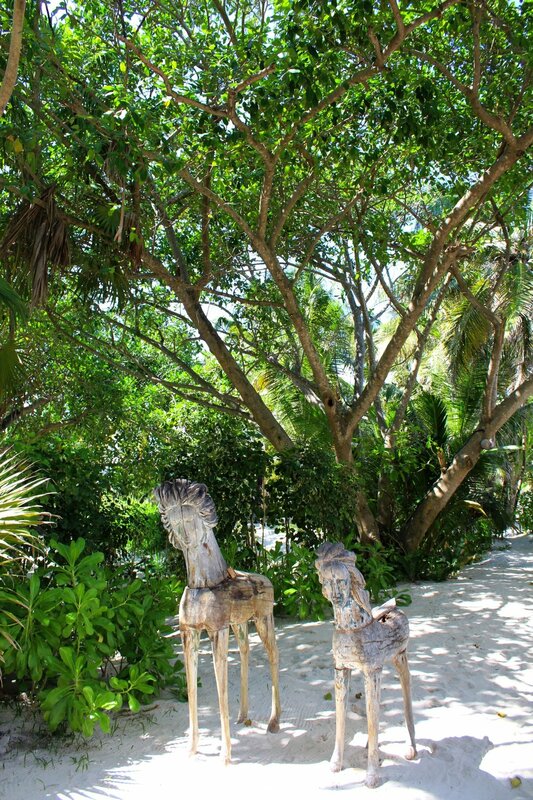 Shopping in Tulum is like a bohemian fantasy. Everything is handmade, chic, hipster, hippie, boho, you name it. They have something everything would love. From dream catchers, to handmade bags, boutique clothing brands and worldly furniture stores. One thing to note is the prices aren't cheap! Most of the stores are expensive (think high-end bohemian boutiques) but you can find some spots with fair prices. If you want to get souvenir, I recommend making a trip to Tulum Town and visiting the shops on the main road. I spent about $75 on this trip shopping for myself and for friends and family. I bought myself a beautiful dream catcher, some crystals, and a small catch all bowl for my desk. 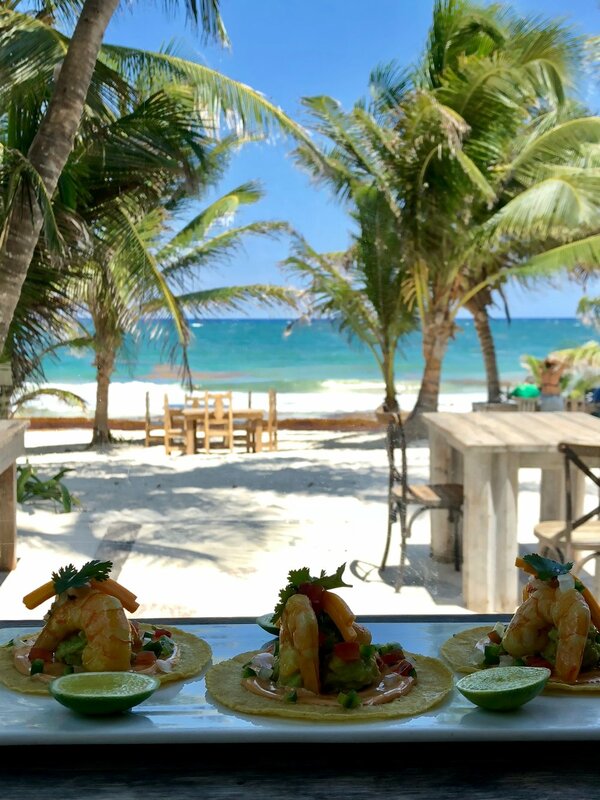 There's really not too much to do in Tulum other than relax on the beach and eat really good food. That's what really appealed to us because we wanted to relax for most of our trip rather than run around trying to see every single tourist attraction available. That said, Tulum does have a lot of natural wonders you should see. Out of everything listed below, we just did the Tulum Ruins (so worth it) and hope to do a Cenotes next time we visit. Bug Spray – Holy crap. We got eaten alive by mosquitoes. I'm honestly not sure if bug spray works, but it wouldn't hurt to have some on hand. Benadryl – Definitely pack some with you! I had an allergic reaction to the mosquito bites and I had nothing to help calm the itching and swelling. Cash – Most places in Tulum are cash only. It’s also hard to find ATM’s that are trustworthy on South and North Beach Road, so make sure to go to Tulum Town and grab cash from an ATM that's attached to a bank. I got a lot of questions about my visit to Casa Malca! I was fortunate enough to get a private tour of the property because I'm working on a featured post for Batch (the SF based shoppable showroom I freelance blog for). Before it became Casa Malca, this property was known as Pablo Escobar's mansion. 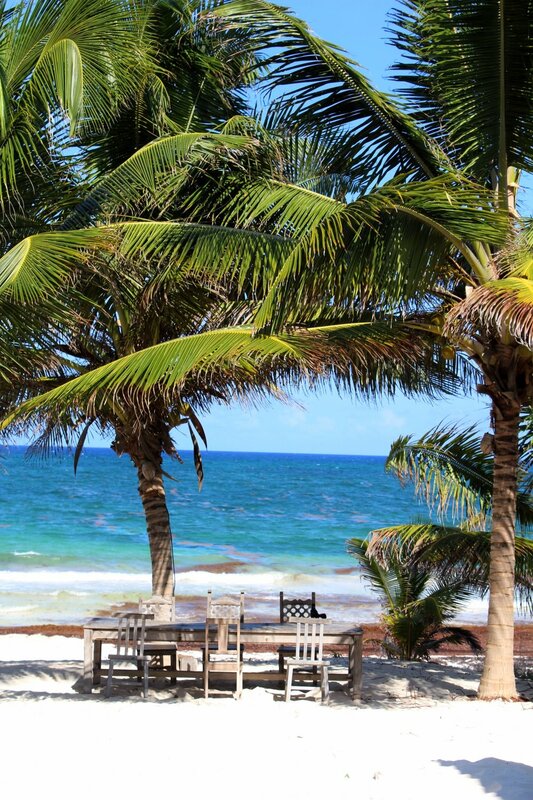 Once Escobar passed away, Lio Malca, a prominent gallery owner found the property and purchased it and flipped it into a breathtaking place for visitors to enjoy and stay at during their visit to Tulum. Casa Malca prides itself on not being a hotel, but rather a summer home for its guests. 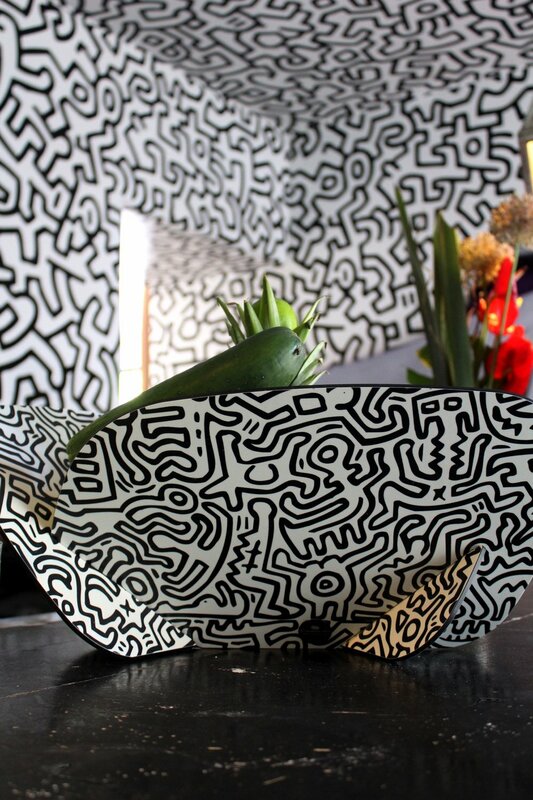 Every room in Casa Malca is different than the next, and every one makes you feel a certain way. From victorian elegance, to modern moments and whimsical artwork, you can find a little bit of everything at Casa Malca. We had so much fun getting a tour of the property, learning about its history and shooting some really fun content for the blog. The staff at Casa Malca was so nice they invited us back a second day to have lunch on them and to spend some time at their private beach and hotel. It's safe to say that visiting Casa Malca was the highlight of this trip. I know this post was super long, but honestly I could have written A LOT more. Tulum is truly a special place, and there's no where like it in the world. I'm already looking forward to planning my next trip back!! 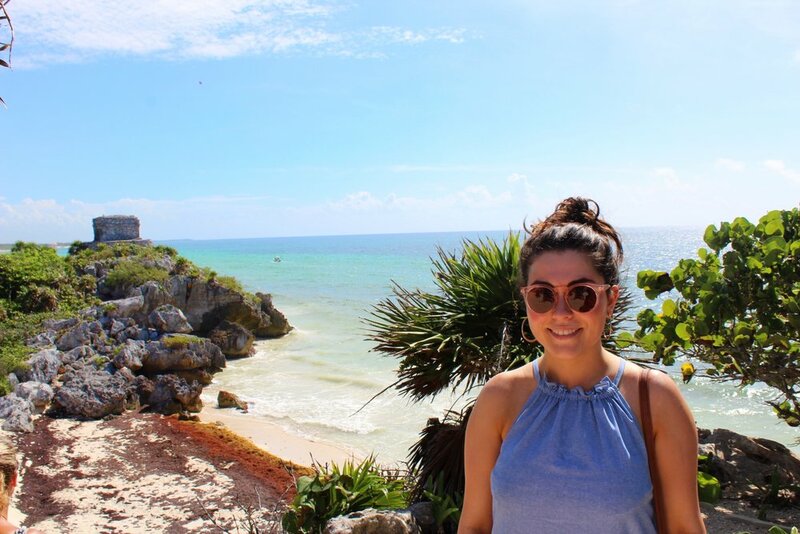 If you have any questions about Tulum or my experience, leave a comment below! Happy travels!